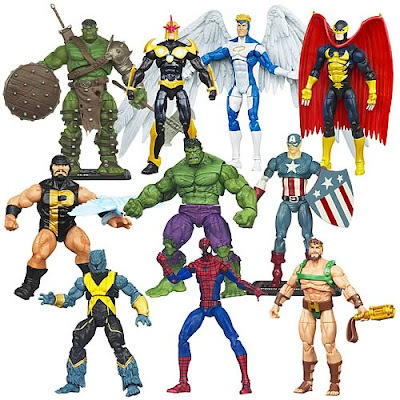 One Per Case: The Toy Aisles in 2013 – What’s Coming Up This Year? The Toy Aisles in 2013 – What’s Coming Up This Year? Now that 2012 is in the rear view, let’s take a look at what 2013 may have in store for us. 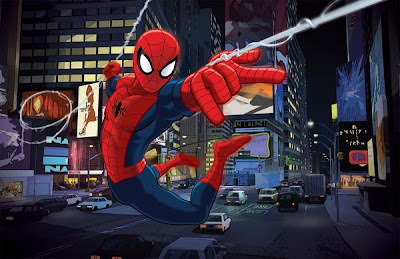 While not all of this info has been officially confirmed, I expect that we will see most, if not all, of this at New York Toy Fair next month. For now, consider much of this to be rumor and speculation, to be taken with an appropriate sized amount of salt. Some of this comes from official news or pre-order listings, some of it from credible rumor sources around the internet, and some of it is just common sense. Regardless, keep in mind that nothing is official until it’s in someone’s hands. Avengers Assemble – Expected on store shelves in January 2013, according to Idlehands. The figures are apparently due to hit very shortly, but no sign of them has turned up in stores or online yet. Rumor is that these figures will be animated in their styling with limited articulation, obviously targeted at kids. Interesting that these figures would be hitting so early without the new show in place to back them up yet. 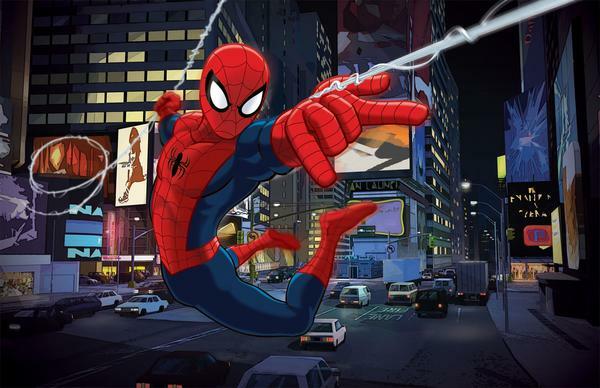 Ultimate Spider-Man – Six inch figures apparently due in January. 3 ¾” due in February. Again, like the Avengers Assemble figures, very animated in style with limited articulation, lots of shooty weapons, and generally not targeted at collectors. 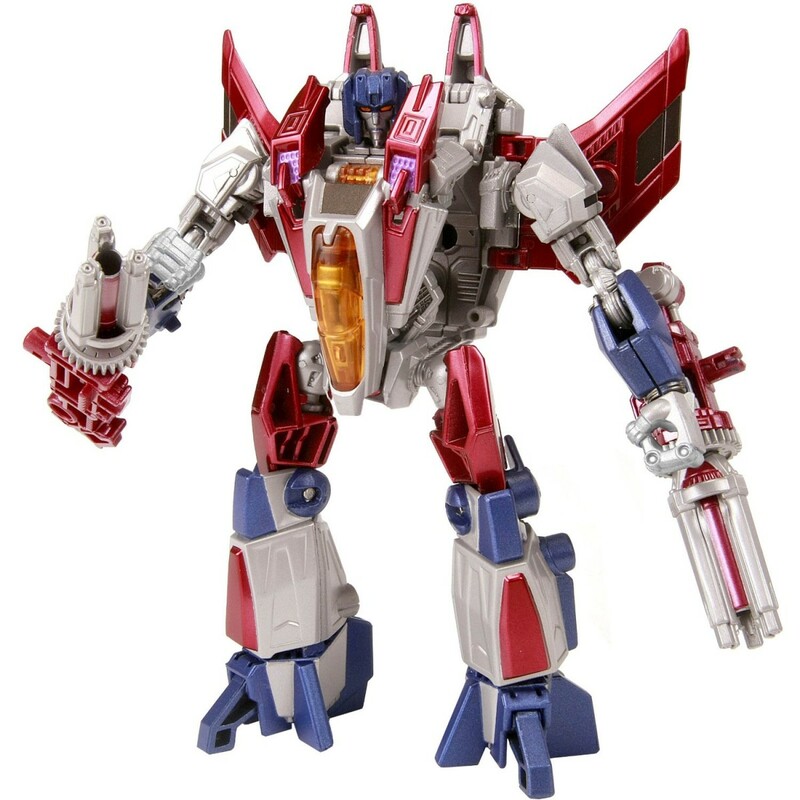 Still all rumor, but should be showing up at retail right around the same time as Avengers Assemble, also according to Idlehands. 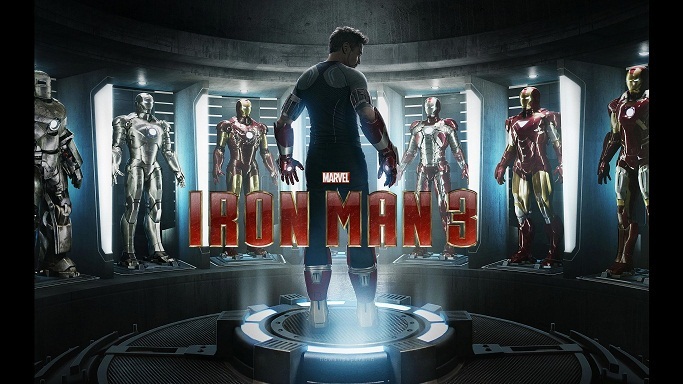 Iron Man 3 – Expected on-shelf February 2013, exact street date still unknown. Rumors and early eBay auctions indicate a 3 ¾” line of limited articulation figures with swappable limbs to create various armor combinations. Rumors also mention standard 3 & ¾” figures (we’re guessing with about the same articulation level as The Avengers figures), as well as a Wal-Mart exclusive wave of six six-inch figures, with a Build-a-Figure of the nicely sized comic version of Iron Monger briefly seen at SDCC last year. If there’s no 6” ScarJo Black Widow in this assortment, I might have an aneurysm. Much of this info comes second hand from various sources at SDCC and NYCC last year, so treat it as rumor until stuff starts showing up on shelves. 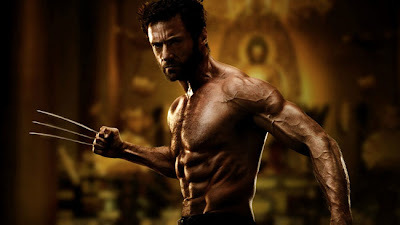 The Wolverine – No official word from Big H on this one, and very few rumors outside the fact that this movie will have an action figure line, but it’s just common sense that it will. Hopefully a few movie characters, lots of comic characters, and a nice match with Marvel Universe figures. The more non-Wolverine figures, the better. We've got enough of him to last a lifetime. Thor: The Dark World – Again, no official word on this, just rumor, but I think it’s a given that we’ll see a toy line for this movie. 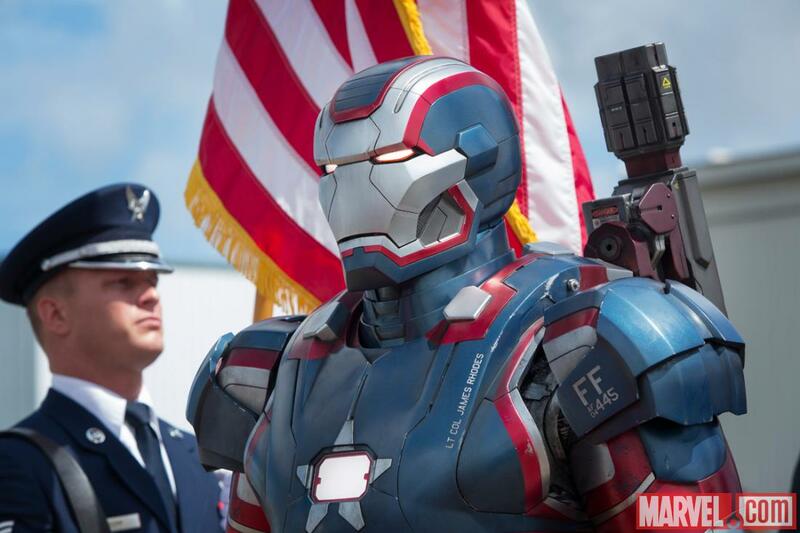 With the film due out in November, we can reasonably expect a toy line on shelves in September. 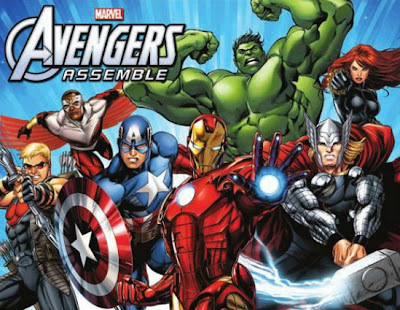 Hopefully Hasbro learns from the mistakes of the first Thor line and include fewer versions of the title character and more comic versions of characters. DC Unlimited & Batman Unlimited – The first waves of these figures are starting to show up now through online retailers, with Wave 2 also due in the coming months. We’ve seen Wave 3 of DCU, but not the Batman line yet. So far, these lines have a pretty mixed reaction from fans, but I expect we’ll see a few more figures revealed at Toy Fair, mostly in the New 52 and Injustice stylings. And hopefully, that wretched Darkseid looks better by the time he’s released. Man of Steel – Mattel has said that there will be a MoS toy line, and that it will include Movie Masters, but not much else is known at this point. After the awesome CnC Bat Signal with the TDKR MM line, I’m curious to see what this line may include. 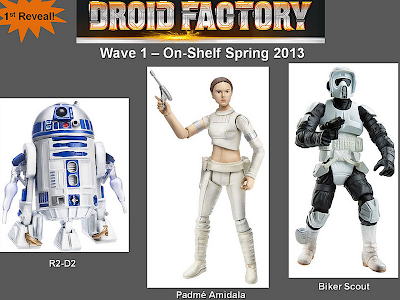 Expect these toys on shelf in late Spring or early Summer, but no date has been announced yet. More Batman – The current kiddy-targeted Batman line, done in an animated style, is switching from a 6” to a 3 & ¾” format, as evidenced by early samples on eBay. 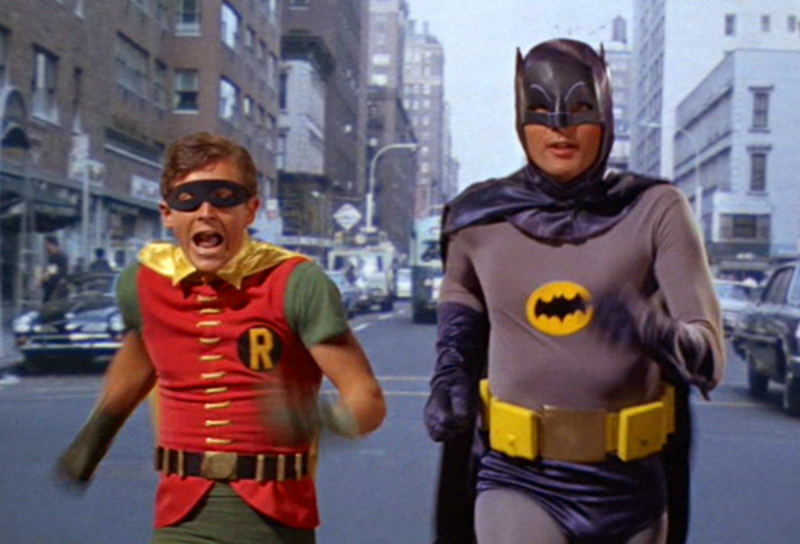 And, I’m still scratching my head on this one, Mattel has confirmed that we’ll see Movie Masters figures based off of the Adam West Batman movie later this year. Finally, the last release in the Dark Knight Rises Movie Masters line, a 3-pack of Batman figures (one from each movie) is apparently due in Toys R Us stores any time now, as announced at SDCC last year. So no shortage of the Caped Crusader on pegs in 2013. Star Wars – Star What? Hasbro’s pretty much botched this line for the time being. Vintage is done, but we’ll allegedly see some of the “hard to find” figures “re-released” (read: they’re finally shipping out a lot of what was due out a year ago) this Spring. And supposedly a new line in the fall. In the meantime, my hopes aren’t high. I’d be willing to bet we see even more Clone Wars and Movie Heroes repacks to tide us over, but all I’m really hoping for is a big Slave I in Empire Strikes Back colors, as teased at SDCC. Transformers – Beast Hunters (Meh) and more Generations (Sweet!). The latest figures of these lines are starting to show up now. Beast Hunters obviously seems very kiddy-targeted, based on the TF: Prime show, with the Generations/Fall of Cybertron figures continuing to be what collectors go after. The FoC Voyager class figures are starting to show up now, too. 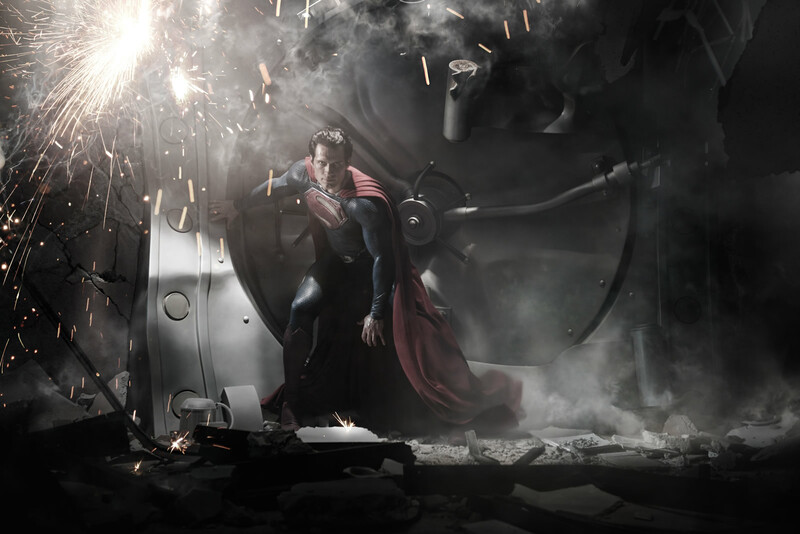 Hopefully this line will continue and impress throughout the new year (until new movie stuff inevitably hits in 2014). GI Joe – Retaliation should be showing back up on store shelves in early February, just in time for Toy Fair. Based on what we saw after the line was shelved last year, we’ve got some great figures coming up this year, and a few more of the obligatory lame ones, too. Night Vipers, Cyber Ninjas, Alley Vipers, and Cobra Eels with Rafts will soon be snatched up by army builders everywhere. I predict lots of Channing Tatum and The Rock figures hanging around pegs for the next 18 months, and then Ross & Marshalls for another couple years after that. 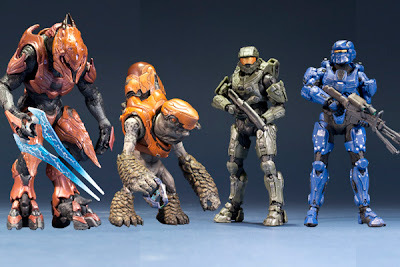 Halo 4 – Something we don’t pay enough attention to on this site, that I’d like to change, is McFarlane’s awesome Halo line. We’ve got the first couple waves of the Halo 4 line out now, along with some awesome deluxe figures, and I fully expect more of the same throughout the year. The deluxe Promethean Knight is due out any time now. Hopefully Toy Fair will have more to reveal on upcoming waves. 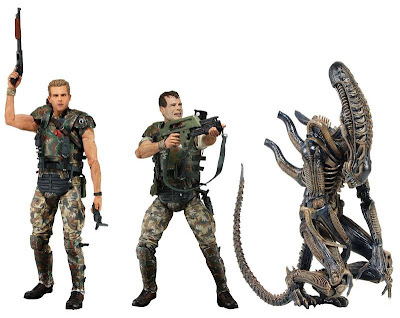 NECA – Aliens, more Predators and Prometheus. And a ton of other lines that I literally don’t have the time or money to collect, but that look one thousand percent amazebawlz. I am so freaking stoked for the upcoming Aliens line, due out in Spring. If you haven’t seen these figures yet, they’re available for pre-order at BBTS. And if the few figures revelealed so far are any indication, we’ve got a lot of great things coming our way in the near future. Corporal Dwayne Hicks and Private William “game over man!” Hudson are hopefully just the tip of the iceberg of Colonial Marines we might see in this line. I don’t want to jinx anything, but I would kill for a Ripley, Bishop, Apone, Drake and Vasquez. Hell, who am I kidding. I will buy anything from this line. Then over in Predator territory, we’ve got series 8 & 9 coming up, which celebrate the 25th Anniversary of the original movie, and feature no less than three different versions of Major Alan “Dutch” Schaefer. And of course, more figures from one of my favorite movies of the year, Prometheus, are due out in the next couple months, including several of the human characters. So that’s some of what we have to look forward to in the coming year. Toy Fair is traditionally a show targeted at the retail industry, not collectors, but I think it’s fair to say that we’re in for a treat next month if most of these rumors hold true, and it’s definitely going to be another expensive year for collectors. What are you guys looking forward to? I totally agree with your Beast Hunters v Generations assessment! Lol. I too hope we see a continuation of the Generations FOC line, but I fear with the fading of the source material, it may not come to pass. Hopefully Generations will continue with other series as well! That's pretty much what I'm expecting. After the first wave of Generations this year, I expect we'll see a shift back to non-FoC characters, with maybe an occasional FoC bot thrown in for good measure. We should know more in a couple weeks when the Toy Fairs start kicking off around the world!